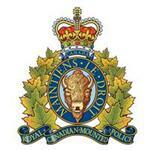 RCMP Alberta - The RCMP Southern Alberta Livestock investigators and Tsuu Tina Police are asking for information from the public to assist with an investigation into 12 stolen mares. The horses were last known to be grazing in the Tsuu Tina Nation in October 2016 and all are owned by one person. Investigators are not certain at this point when the mares were taken, if the animals were taken at once or in a series of smaller thefts. It is possible that some of the mares may have been bred at the time of the theft and could now have a foal at their side. Anyone with information on this crime or anyone who has information on the location of the horses is asked to contact the RCMP Livestock Section at 403-420-4972. If you want to remain anonymous, you can contact Crime Stoppers by phone at 1.800.222.8477 (TIPS), by internet at www.tipsubmit.com, or by SMS (check your local Crime Stoppers [www.crimestoppers.ab.ca] for instructions on how). You do not have to reveal your identity to Crime Stoppers, and if you provide information to Crime Stoppers that leads to an arrest(s), the recovery of stolen property, and/or a seizure of illicit drugs, you may be eligible for a cash reward.